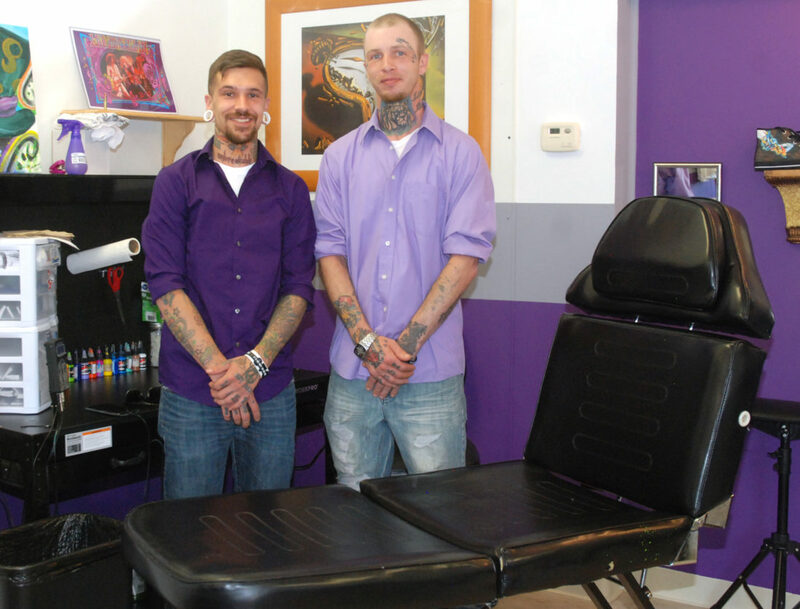 Cody Seager, left, and Paul Tower, offer piercing and tattoo services at the new Ink is Art parlor in Burnham. BURNHAM — In need of new ink? The new tattoo parlor, Ink is Art, is now open in Burnham and ready to share its creative vibe and artistry. Owner Paul Tower wants to share his love of art, whether it be by tattoo or the paintings and drawings in the parlor, with his customers by providing an upscale location that provides custom tattoos and piercings. Tower said they offer basic tattoos, freehand tattoos or they can take an image and alter it to the customer’s liking. “We do all aspects including color, portraits, photo realism, black and gray and black lighting,” Tower said. For people seeking a subtler tattoo, black light tattoos are made with dyes that fluoresce visibly under an ultraviolet light and are almost invisible in normal light. Tower said they offer colored inks that also look brighter under black lighting. Tower and his employee Cody Seager, who both have years of experience in the tattoo and piercing industry, want to offer great customer service and reasonable prices. Tower also pointed out the new shop is not a “hang out spot” like most parlors are known for. When customers do visit the parlor, the open concept layout allows guests to view the staff in action and to see that all services are sterile, including using disposable tubes and needles. The shop is also an art gallery with artwork available for purchase. Tower and Seager, who are both self-taught in tattoos and piercings, are willing to share their knowledge and passion with anyone. The two said they truly enjoy tattooing and if they could, they would do it for free. 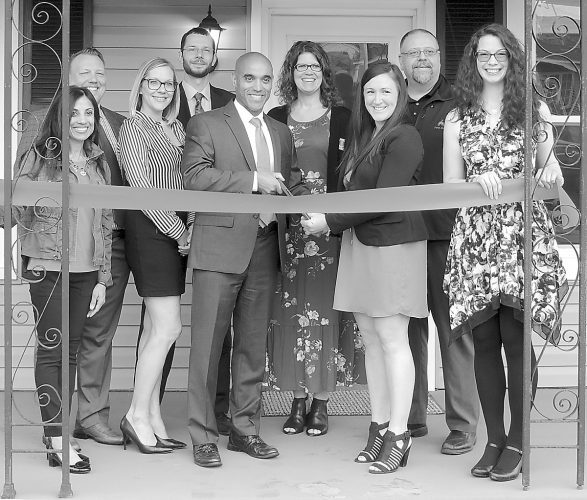 Located at 307A S. Logan Blvd., in Burnham, the parlor is by appointment only on Tuesday and Thursdays and the rest of the week is available for walk-ins. 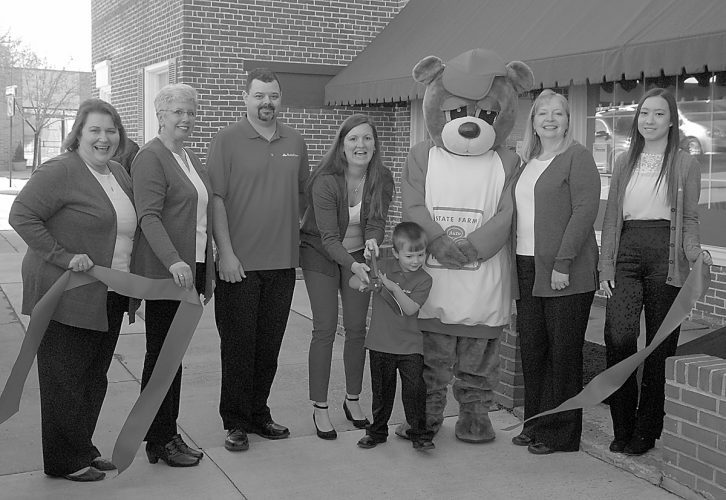 For more information, call 247-5365.